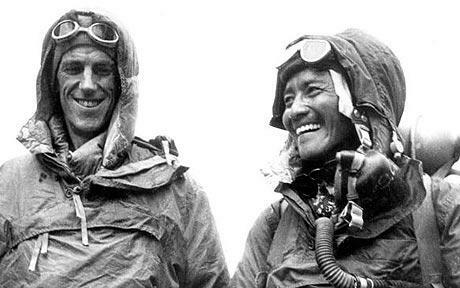 Edmund Hillary and Tenzing Norgay were the first two people to successfully climb Mt. Everest. Clicking on the picture to your left will bring you to a National Geographic documentery about these two amazing men. Edmund became interested in climbing when he was 16 years old and climbed his first major mountain when he was 20. Tenzing was a member of the Sherpa Tribe. Tenzing's parents wanted him to be a monk. This is the reason why he ran away from home.